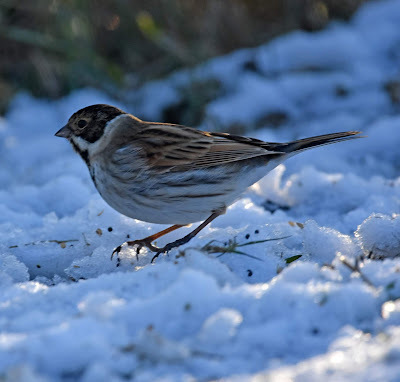 Several days of low temperatures and some snow brought a real taste of winter to the moor. 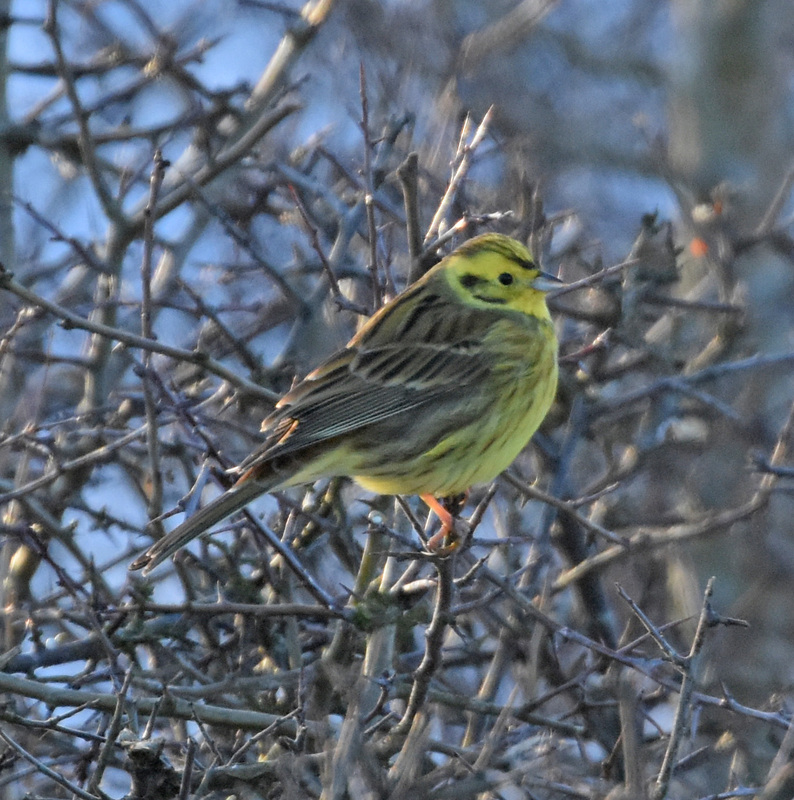 Both Saturday and Sunday were the finest kind of winter days clear, sunny and brilliantly lit, the only downside a bitter nagging wind. 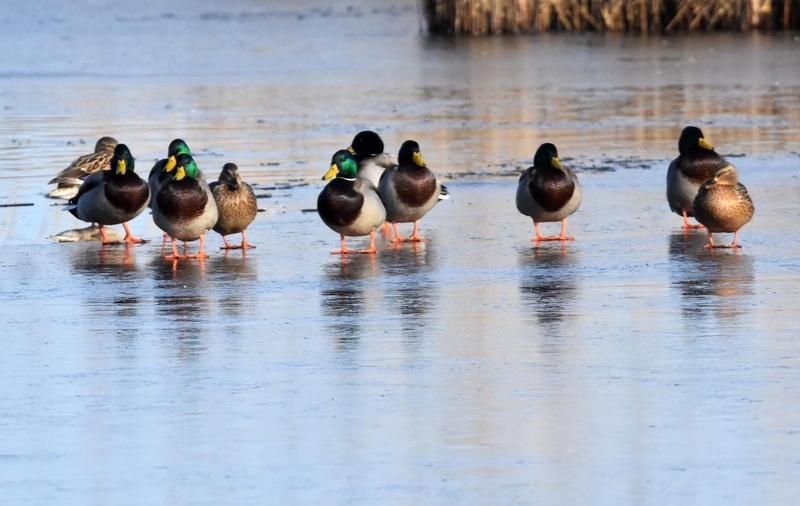 Surprisingly, despite the low temperatures overnight, the main lagoons had not frozen completely, and the wildfowl were either paddling around in the open water or sitting rather disconsolately on the ice. It was reassuring to see that those birds more vulnerable to severe cold had made it through the cold snap unscathed. 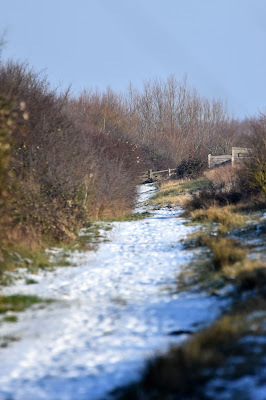 On Sunday morning after a hard frost we heard at least three different Cetti’s Warblers calling from the reedbed and the bridleway. 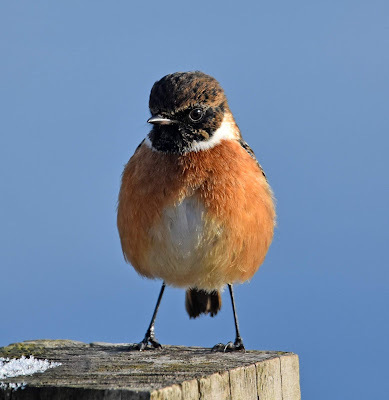 The very confiding Stonechats at the second screen continued to entertain and enchant. 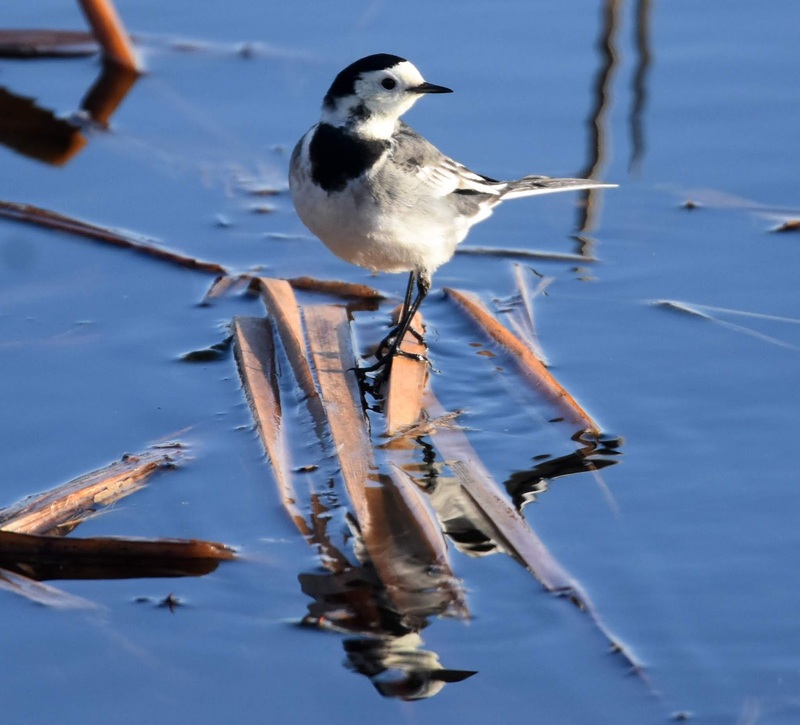 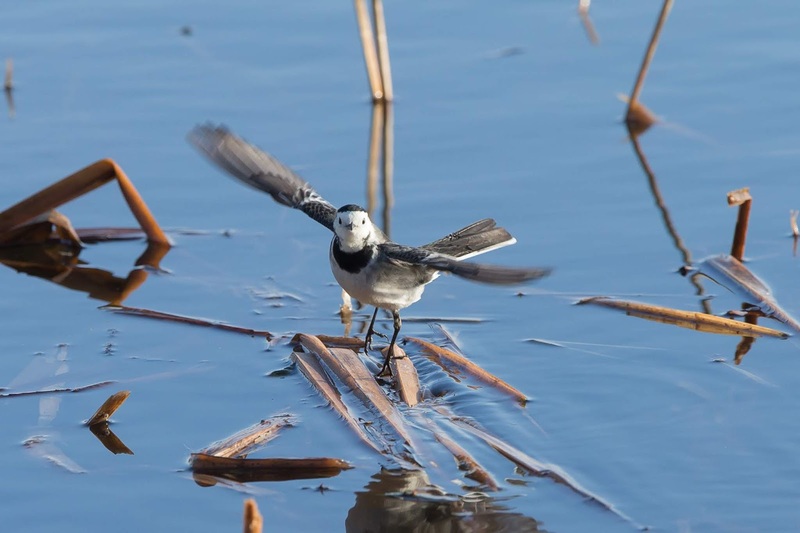 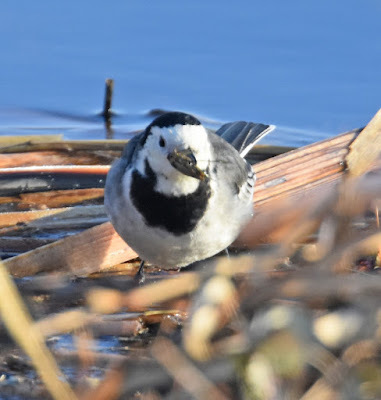 On Saturday they had been joined by a Pied Wagtail that was flicking along the edge and just over the surface of the water and picking up diving beetles, as far as we can determine from the pictures. Some observers had noticed that several times one or other of the Stonechats had stolen the insect prey from the Wagtail. 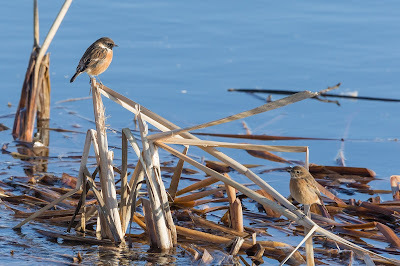 On Sunday morning they were hassled by a Robin that chased them from perch to perch, clearly regarding them as competitors for limited food. 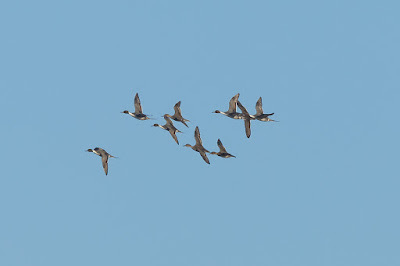 We saw no Golden Plovers at the weekend but there were several smaller flocks of Lapwings both on and off the reserve. As we arrived on Saturday morning a larger flock was flushed by what looked to be a male Peregrine but not the one we have been seeing fairly regularly, as it had a full complement of feathers on its left wing. 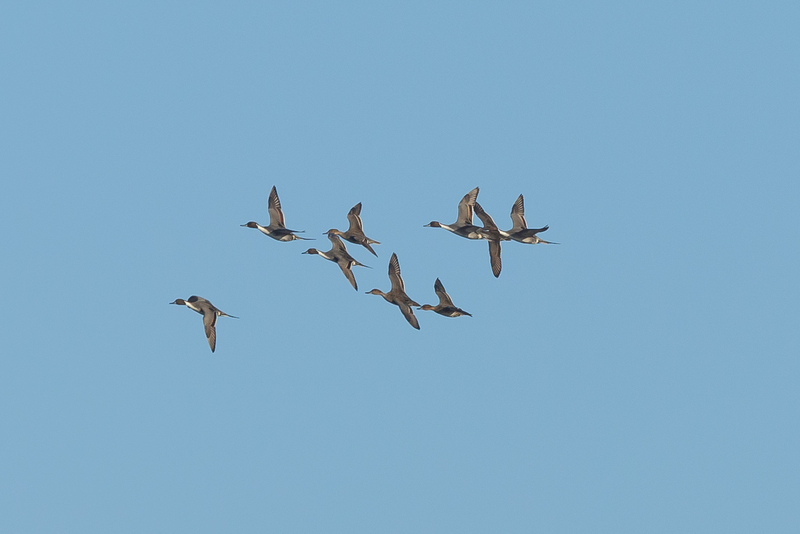 With a return to warmer weather this week we fully expect Golden Plover and Lapwing numbers to rise again as they feed on the wet fields. We should see the first Curlew of the new year in the next week or so. A drake Goosander was reported last Wednesday from the first screen, sadly it did not linger, probably because of the dearth of fish in the southern lagoon. 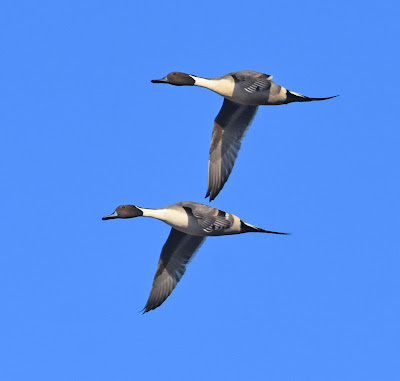 Eleven Pintail were on the same lagoon on Saturday and flew over our heads at the screen they looked stunning against the clean blue of the sky in the crisp sunshine. 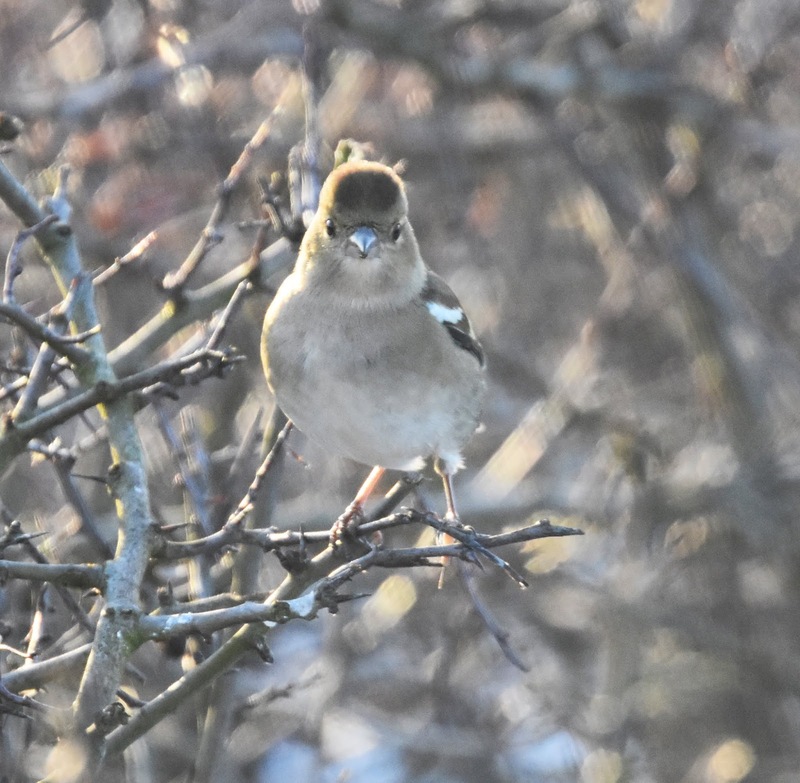 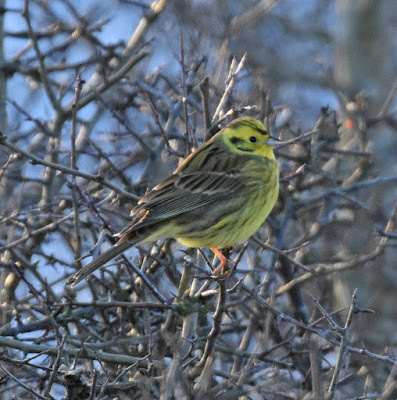 The finch flock is still growing, although more slowly, but does feature a few more Yellowhammers now. It is interesting to notice just how familiar the birds have become with the feeding process. Where they would normally flush right off, they now come in and land just as we have gone past with the seed spreader. The only thing that does clear them out is the presence of the Sparrowhawk, and after it’s been through it usually takes them about fifteen minutes to re-settle and resume feeding. 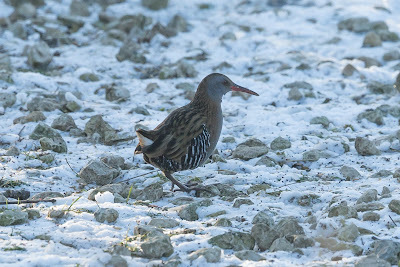 Once again the Water Rail is out in the open on the path and can be seen picking up fine seeds in its long bill, which must be a bit like trying to eat peas with chopsticks. 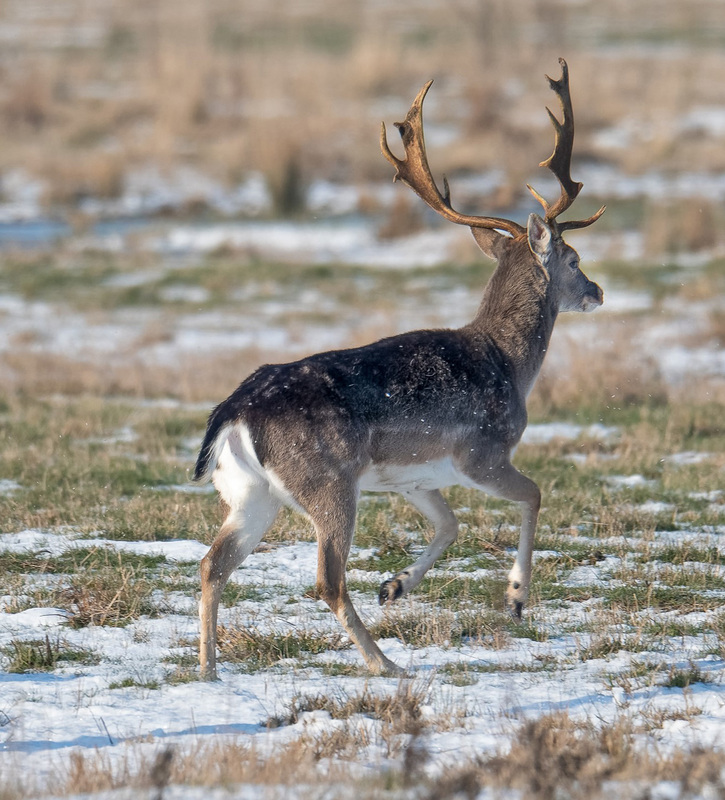 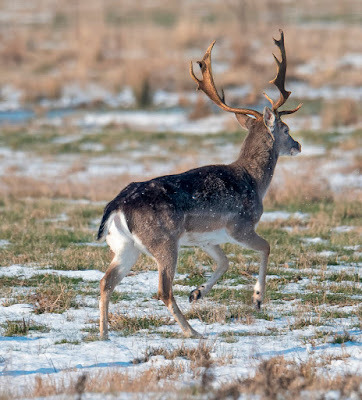 On Ashgrave our small herd of Fallow Deer has now swollen to nine including a particularly well antlered stag.